My inspiration is taken from my experience in the mega yacht field, but also from the rich history of Fairline creating timeless, classic usable yachts for almost 50 years. - Alberto Mancini. In 1963, Fairline started life when Jack Newington, a man with an entrepreneurial spirit and unwavering commitment to excellence, purchased a series of gravel pits on the River Nene and built Oundle Marina. The Fairline 19 was the first boat launched in 1967, a 19-foot handcrafted GRP river cruiser. Jack’s son, Sam, took over the company and expanded the sale’s network overseas to take advantage of the expanding Mediterranean market in the year 1971. 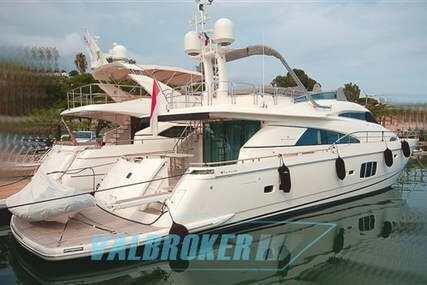 The Fairline 40 was launched in the year 1977 and it remained in production for a record eleven years. The company was employing 140 people and was turning over £5 million by 1970. 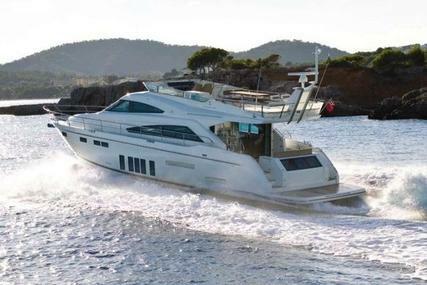 In the year 1981, one of Fairline’s most enduring models, the Turbo 36, an aft-cabin craft, was launched to huge acclaim. 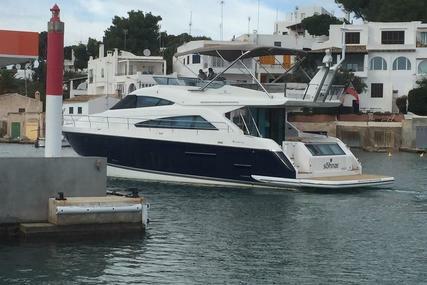 Fairline redefined the modern express cruiser with the launch of the Targa in 1985. The company continued expanding with new production sites at Weldon, Corby and Nene Valley, Oundle. 1986 saw more acclaim when the company were awarded the much coveted and prestigious Queen’s Award for Export Achievement. 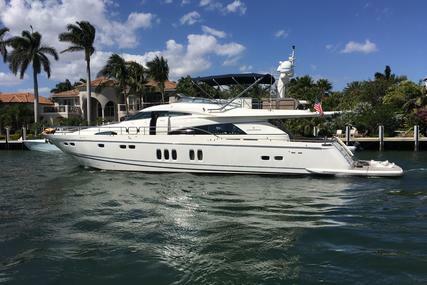 The company established Fairline Boats of North America Inc., creating a network of 35 dealers with Sam’s retirement in 1996. 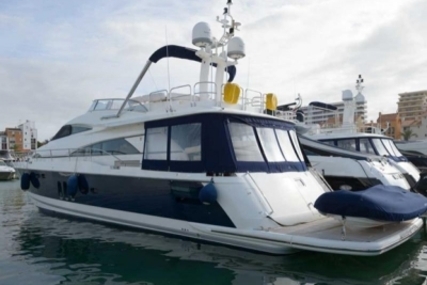 Fairline Motor Yachts had built 10,000 boats by 2002 and after two years the figure had risen to 12,000. In the year 2006, the company was purchased by 3i, the first of several sales over the following ten years. The company went into administration in 2015 and in 2016 their assets were purchased by Alexander Volvov and Igor Glyanenko, UK-based Russian businessmen. 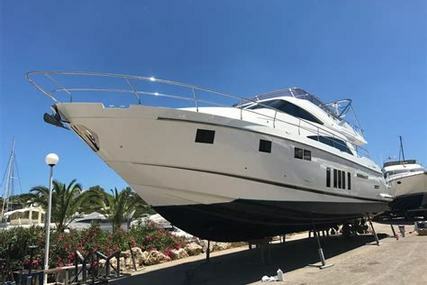 The company was re-launched as Fairline Yachts Ltd. and continue to this day building upon the line’s distinguished heritage. Fairline produces fibreglass motor yachts ranging from 40-80 feet in length, delivering exclusivity, elegance and performance in equal measures. Luxury British motor yacht manufacturer, Fairline Yachts, was announced as the recipient of the Motor Boat & Yachting Judges’ Special Award 2018 in January. Fairline displayed an exciting range of its latest models at Cannes Yachting Festival - September 2018. Last year, 2017, Fairline Yachts, was announced as the winner of the International Dealer Development Award at the annual METSTRADE Boat Builder Awards in November. 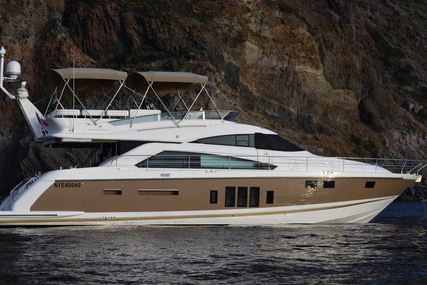 Fairline is a brand with grace, power and thrill-seeking adventure and continually evolves. Embracing advances in both technology and style with a long-standing international recognition for its award-winning range of designs. Industry-leading models paired with space and sophistication is produced by Fairline. 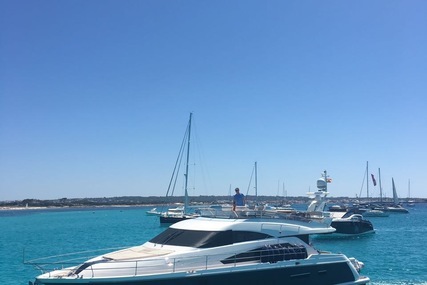 Once you are on a Fairline, you will never want to look back as its’ brand legacy is one of care-free adventure for you and your loved ones aboard. So, own a Fairline, step onboard and start exploring. 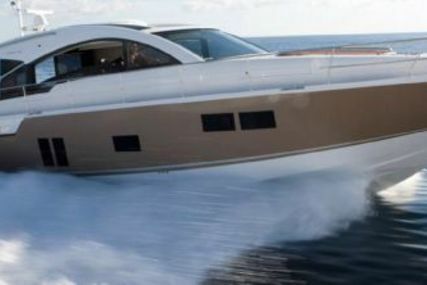 There are over thousands of Boats for Sale available on www.rightboat.com, waiting for you to find them! The best thing about memories is making them. Make your time onboard even more memorable with your own adventures in Fairline Yachts. 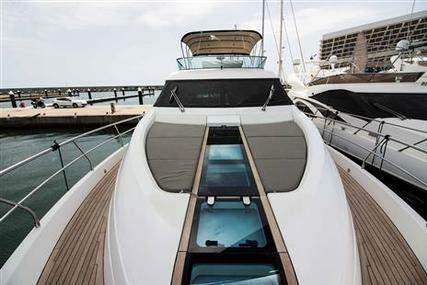 1. Who is the founder of Fairline Boats and when was it founded? Fairline Boat’s founder is Jack Newington and it was founded in the year 1963. 2. Where is the Headquarters of Fairline located? The Fairline headquarters are in Oundle, United Kingdom. 3. Who is the CEO of Fairline? The CEO of Fairline is Kevin Gaskell. 4. 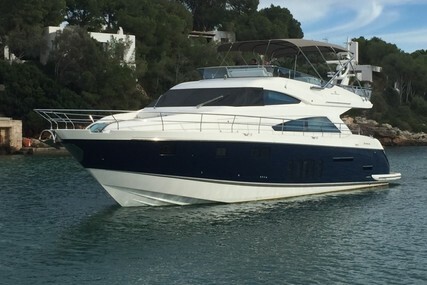 What is the Fairline Targa range? The Fairline Targa ranges are bold and innovative modern express cruisers that come in seven variants ranging from 43 feet to 63 feet. They are 43 Open, 48 GT, 48 Open, 53 GT, 53 Open, 63 GTO and 63 GT. Targa boats are either GT (Gran Turismo) models or OPEN models. The Targa offers performance in style. Fairline Yachts launched the first fully Mancini designed boat, the Targa 63 GTO at the Cannes Yachting Festival in September 2017. During Cannes Yachting Festival, the new model was announced as the winner of the best exterior design in the 50-80 feet yachts category. 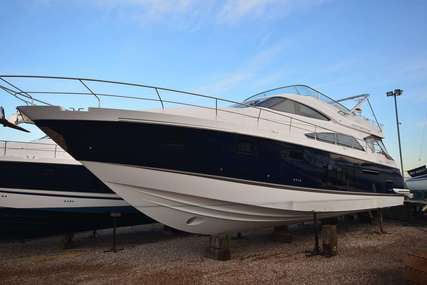 This was the first of the new generation models from Fairline Yachts, aptly launched during Fairline’s ‘golden year’ as the brand was celebrating 50 years of boat building. A Targa is exceptional in every way as it blends innovation with heritage and performance with style. The benchmark of Italian style and British craftsmanship has elevated the bold, inventive Mancini designs range to a higher level as they’re sporty and elegant in equal measure. They provide the perfect setting for a day on the water with powered sunroofs and oversized sun beds. A Targa is responsive to your every need, equipped to impress and emitting sophistication with attention to each detail and cleverly designed layouts both inside and out. Time spent on board is nothing short of idyllic with generous foredecks, large cockpits and comfortable saloons. 5. What is the Fairline Squadron range? 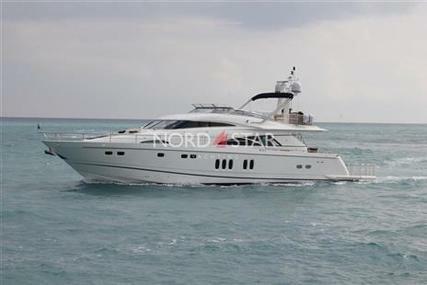 The Fairline Squadron is a spacious flybridge motor yacht ranging from 48 feet to 65 feet. The Flybridge Squadron is designed for the adventure-seeking family. It comes in four variants; 48, 53, 64, 65 and has numerous layout options. 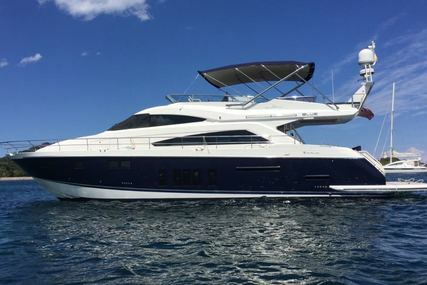 Alberto Mancini-sculpted exterior lines, luxurious interiors, spacious cockpits, cleverly designed features, signature design runs throughout the Fairline Squadron. A Squadron offers supreme comfort paralleled with contemporary style, sophistication and elegance. The flybridge is central to the Squadron identity as you enjoy the sun-rays and get drenched in it during the day and feel illuminated by the twinkling stars in the night. It offers an elevated experience of life on the water with modern, spacious and individually-conceived areas. 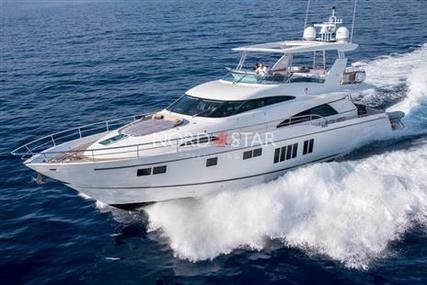 A Squadron is built for family enjoyment, confining the essence of open-plan living that has splendid cabins with full height ceilings, foredeck seating and spacious suites. 6. 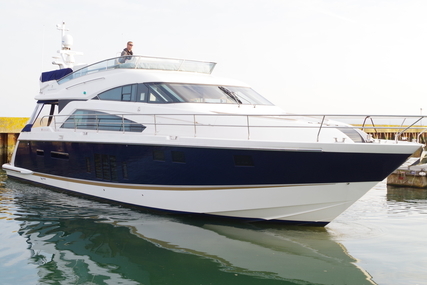 What is the Fairline F-Line 33 range? 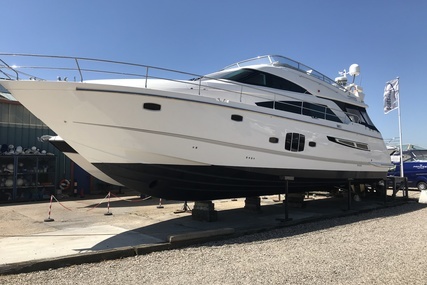 The F-Line 33 is an exciting new Mancini-designed express cruiser from Fairline express which oozes Italian style mixed with precision engineering. It is the first model in the new ‘F-Line’ series, set to launch in January 2019. 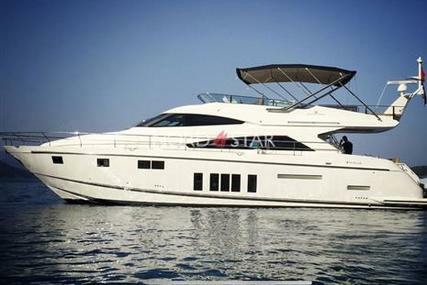 It pairs band pedigree with Italian style, offers high performance day boating and features powerful petrol / diesel stern drive engine options from Volvo Penta. 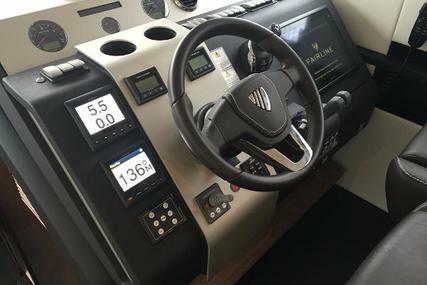 The Mancini design language spreads throughout, embracing the outdoors on the expansive foredeck, comfortable cockpit to spend sun-drenched days, open plan forward cabin and innovative fold down transom. The finishing touch is provided with the wrap-around window that ensures a light and airy interior and with a full-standing height ceiling. 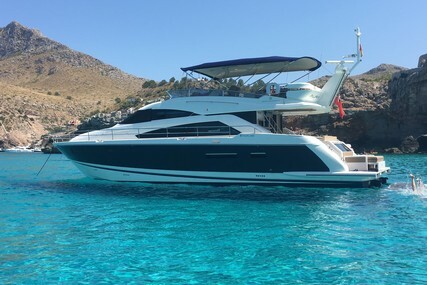 The F-Line 33 resonates with Fairline DNA by highlighting British craftsmanship inside and out and features hand polished deep lacquered woodwork and elegant interior finishes. The F-Line 33 puts a welcome modern twist on day cruising with its adventurous, contemporary and fashionable build.